While unsigned, this print is attributed to Fleischmann since it came from a group of prints many of which were signed by the artist. Trude Fleischmann (1895-1990), Austrian-born American photographer, opened her own studio in Vienna in 1920, where she specialized in portraits of musicians, artists, writers, dancers and actors in their stage roles. Her modernist approach, employing unusual angles and close-ups, matched the new market of illustrated magazines and secured her participation in important contemporary exhibitions. She emigrated in 1938, and between 1940 and 1969 ran a flourishing portrait and fashion studio in New York. 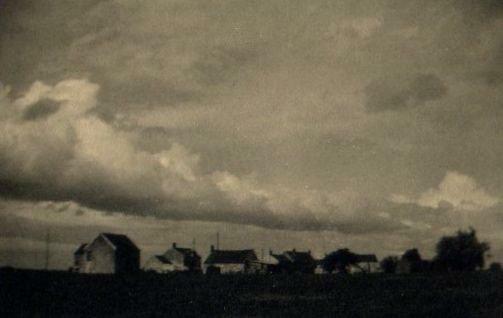 Items Similar To "Trude Fleischmann: untitled (horizon with houses and clouds)"